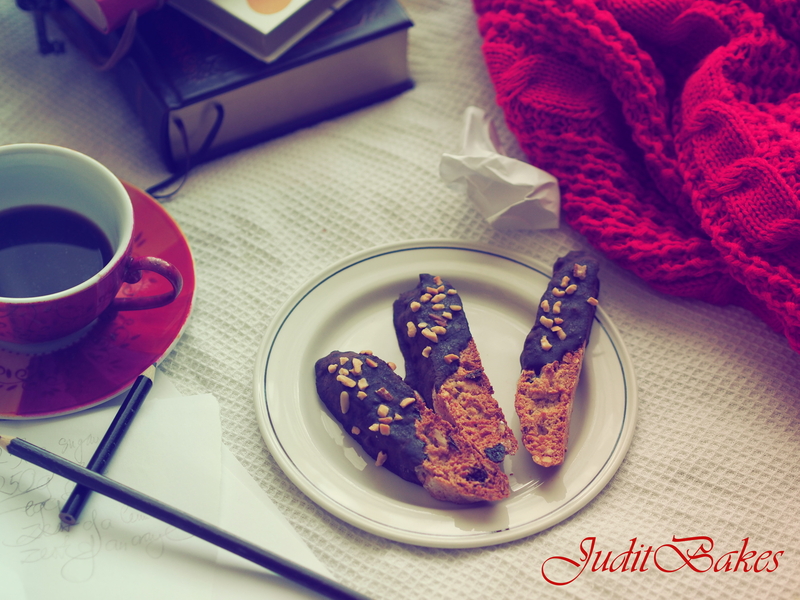 A perfect companion for Dunking: Nut Biscotti | When Judit bakes...bread and better.. It seems that modern day dunking has its roots in naval history. 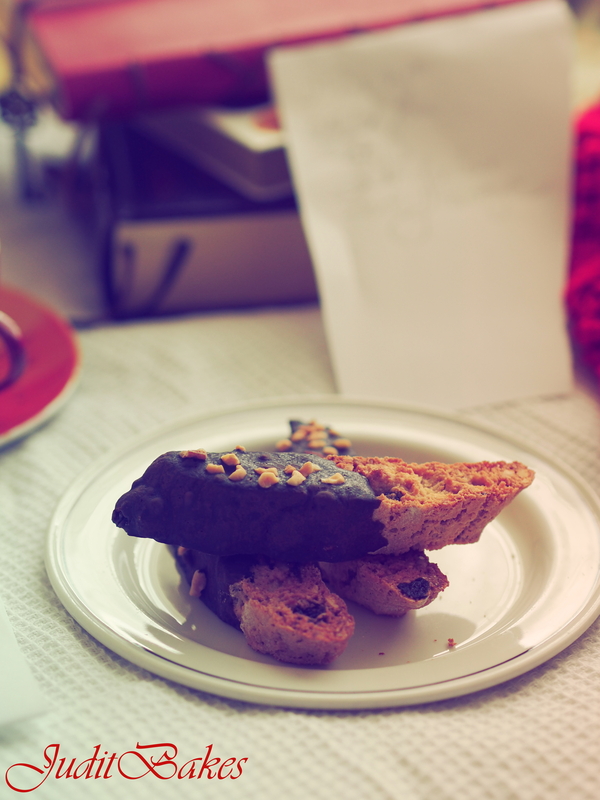 From about the sixteenth Century onwards, biscuits were used as nutrition aboard ships due their dry and durable nature. In order to allow them to keep for months or even years, these early biscuits were incredibly dry, rendering them inedible unless dunked. 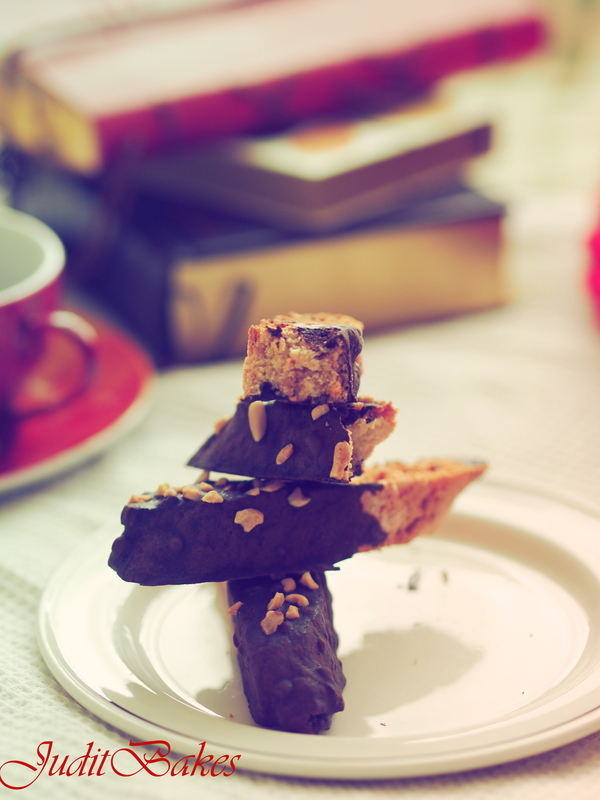 According to the Biscuit Appreciation Society “dunking” is a time honoured tradition amongst the working and lower class, although mistakenly frowned upon by some. The Society believe that it is an integral part becoming a world leading connoisseur. However, to achieve the best experience possible, there are few steps one should abide to in order to achieve maximum enjoyment from a dunk. I am a virgin dunker, but a keen explorer. 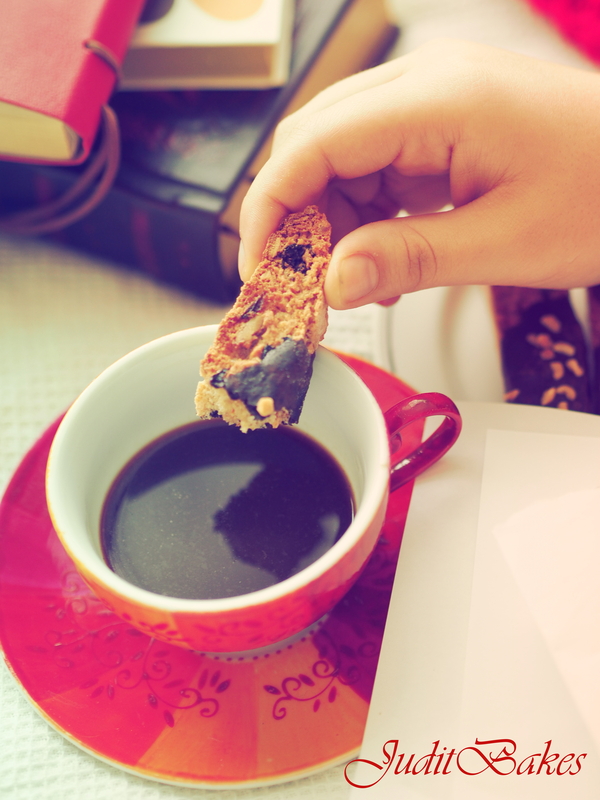 New research suggests there is a science behind the dunk, with the humble plain biscuits named most robust biscuit for dunking, vertical submersion being best, and the fat content of the biscuit and the temperature of the liquid crucial in the success of the dunking ventures. 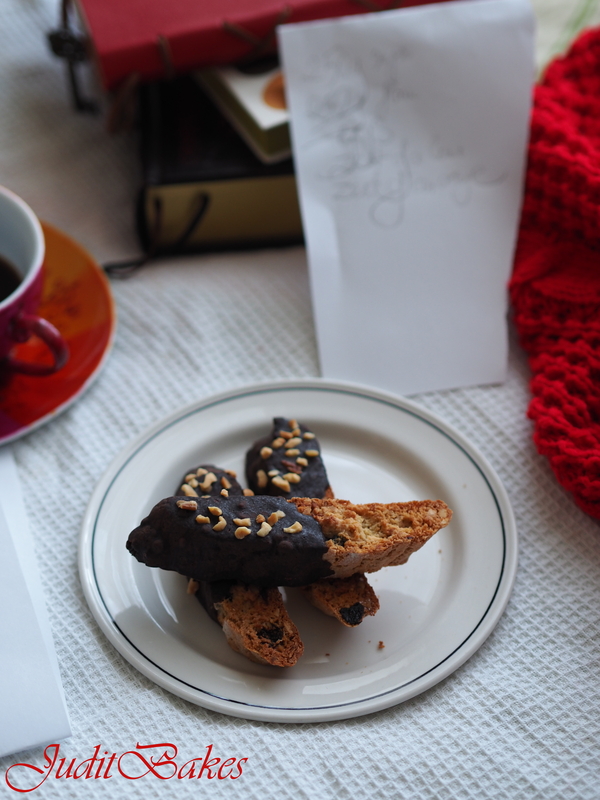 fitting as a perfect cold weather treat, I have tried the lot…different biscuits, a variety of mugs and cups, many types of tea…Finally I arrived to the happy conclusion: carefully chosen company made my dunking excellent! Preheat the oven to 180 degrees C. Line a baking tray with baking parchment. 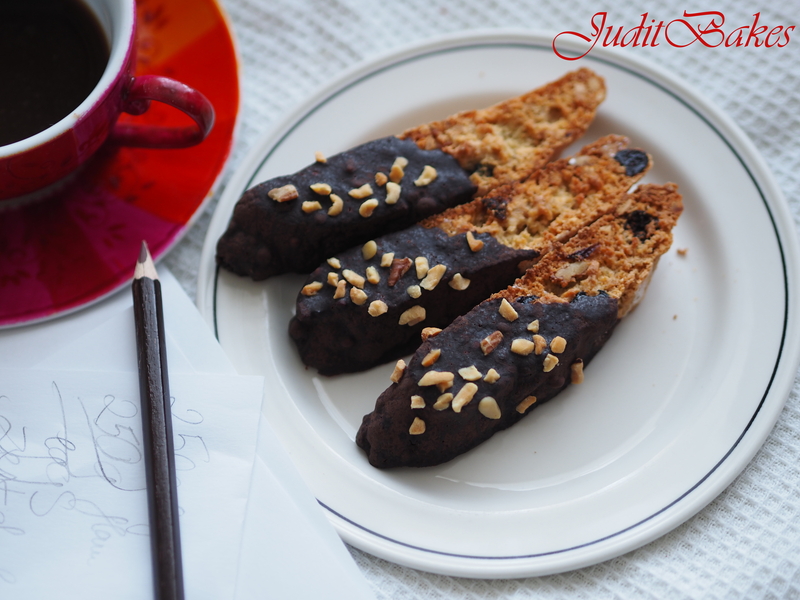 Place all of the biscotti ingredients into a large bowl and stir until the mixture comes together as a soft, sticky dough. Divide the dough in half and roll each portion out into a sausage shape on a lightly floured work surface. 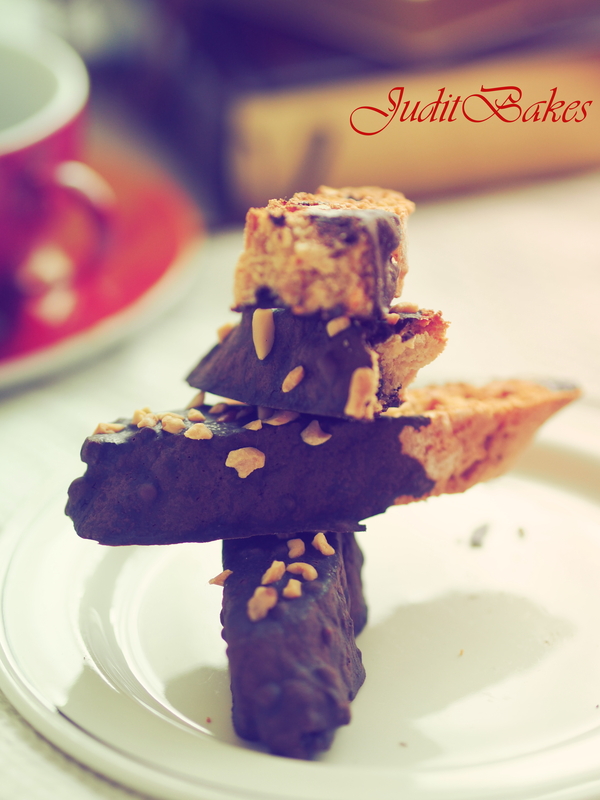 Place the pieces of dough onto the prepared baking tray and bake for 20-30 minutes, or until golden-brown. Remove from the oven and set aside for 10 minutes to cool and firm up. Using a serrated knife, slice 1 cm thick discs from the pieces of dough, slicing them at an angle. Lay the discs onto the same baking tray. 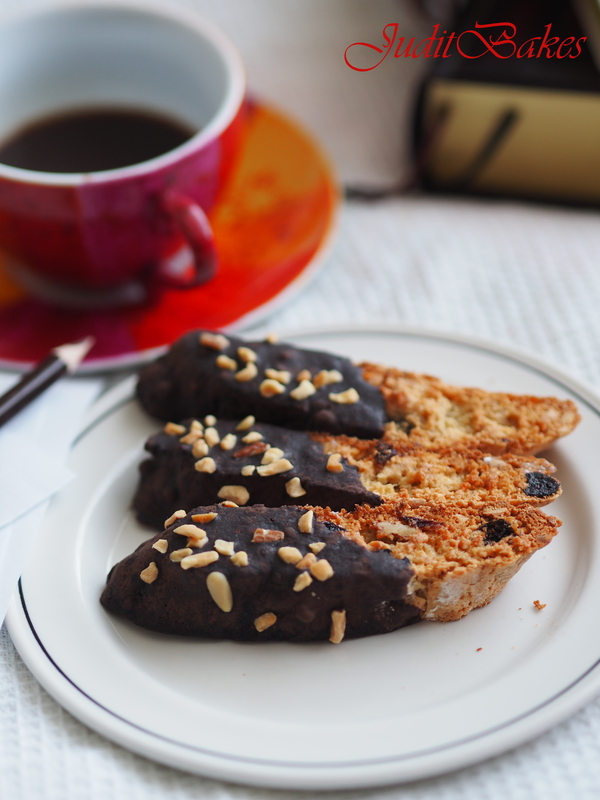 Return the biscotti to the oven and cook for 6-8 minutes, then turn the slices over and cook for a further 10-15 minutes, or until crisp and pale golden-brown on both sides. Remove from the oven and transfer to wire racks to cool. 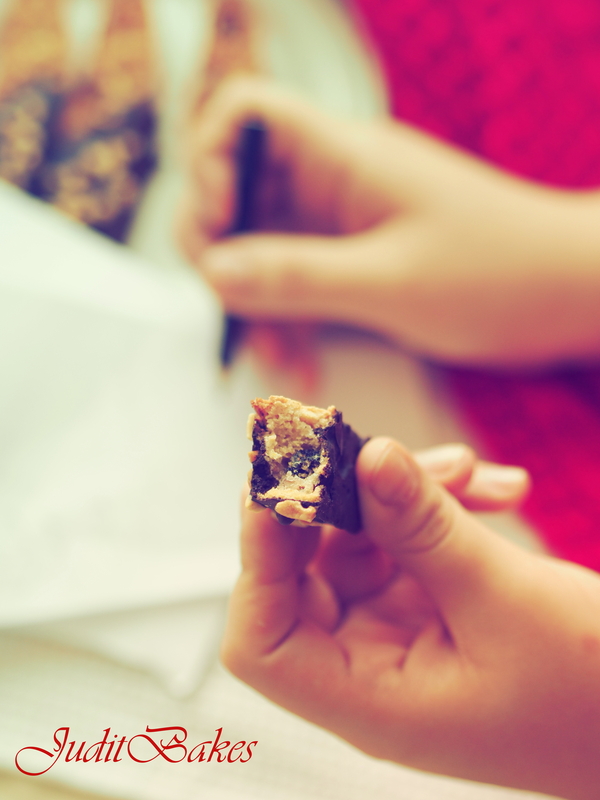 Optionally, once cooled, dip the ends in melted chocolate and decorate with toasted nuts. This entry was posted in Baked treats, Baking powder, Biscuits and Cookies, Just Everything, Sweet Bakes, Treats for Life and tagged Biscuit Appreciation Society, Marcus Valerius Martialis. Bookmark the permalink.